The plate of Senj is one of the oldest Croatian glagolitic monuments. It shows that at the time of its creation, the glagotic alphabet was a widely spread and generally accepted one in the area of Senj. It was discovered on the Nehaj tower during excavation works. It is not entirely preserved, only parts with carved plant ornaments and glagotic letters were found. The preserved parts of it are kept in the town’s museum in Senj. After the plate of Senj, there were no written traces on the use of Glagotic alphabet in Senj and its sourandings for a long time. It is seen from the letter of Pope Inocent IV addresed to Bishop of Senj Philip on the 29th of March 1248 that Glagotic alphabet did not disappear. The importance of this letter is in the fact that for the first time a catholic priest recives a permission to use the non Latin languange and alphabet, i.e. the old Slavic and the Glagotic one. This letter is the base of the rising period of the Croatian glagotic culture in the fourteenth and fifteenth century. The letter is kept today in the Secret Vatikan archive. 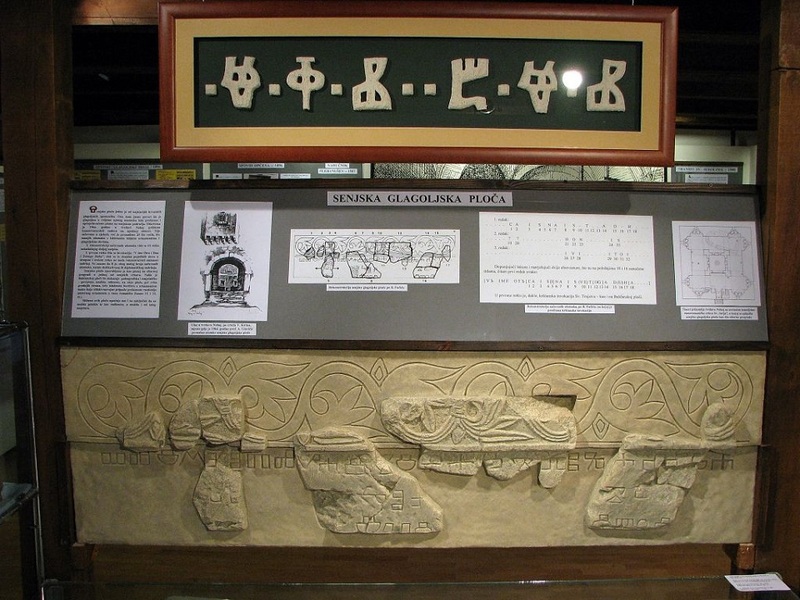 The largest number of inscription and documents written in the Glagotic alphabet are from the fourteenth and fifteenth century. The Statute of the church of Senj from 1340 and the so-called Lobkowitz’s Psalter, the book of psalms intended for the layman were written in 1359 in Senj by Zakan Kirin. The revival of the Glagotic alphabet happend after the Ungaro-Croatian king Zigmund gave the church of Senj the right to use the seal of the 25th of June 1392, becoming thus a justified place (locus credibilis). After having recived the said privileges, the church started to issue the Glagotic and Latin documents and their translations in co-operation with the town’s clark. Fiftisch years after the invention of the printing press, a group of people who realized the advanteges of this invention, gatherd in Senj. 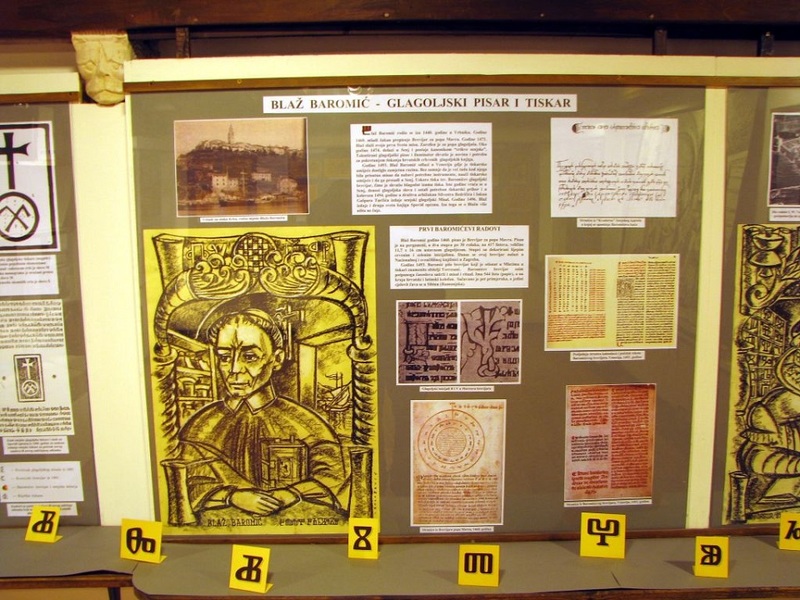 One of them named Blaž Baromić went to Venice, where printing was highly developed, to learn the trade. In 1493 he printed in Venice a breviary wich was named after him. 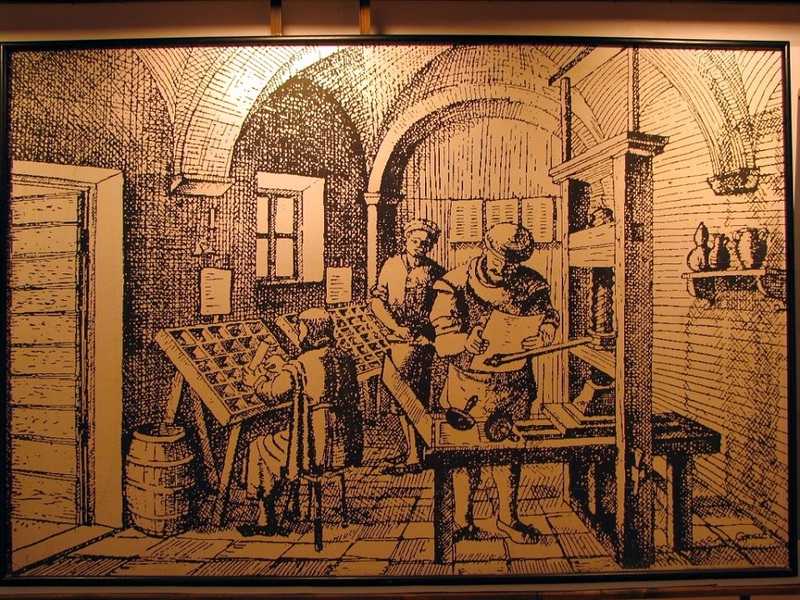 It is probable that Blaž after being successful with printing of his breviary decided to acquire a printing press for the organisation of a printinghouse in his country. 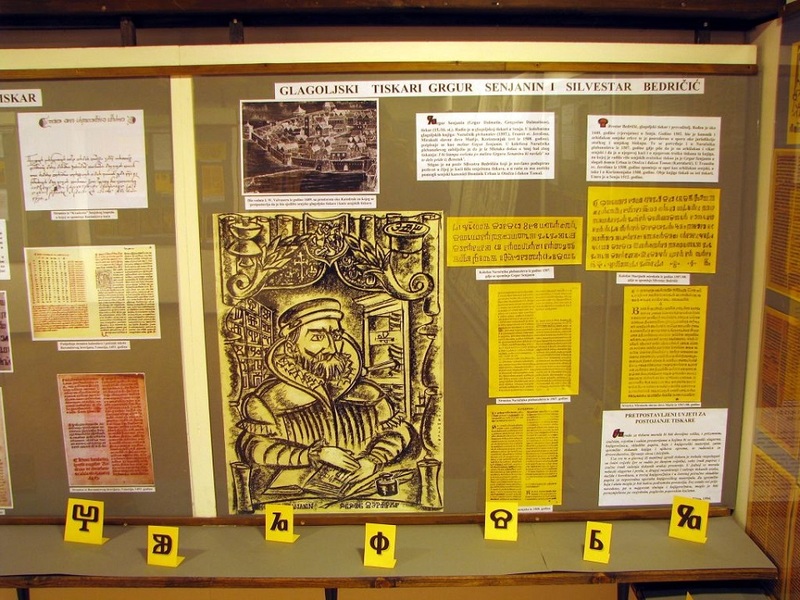 Already the next year was printed a Misal, the first and most valuable edition of the glagotic printing house from Senj. Missal is a book of texts used in religious services troughout the whole liturgical year. 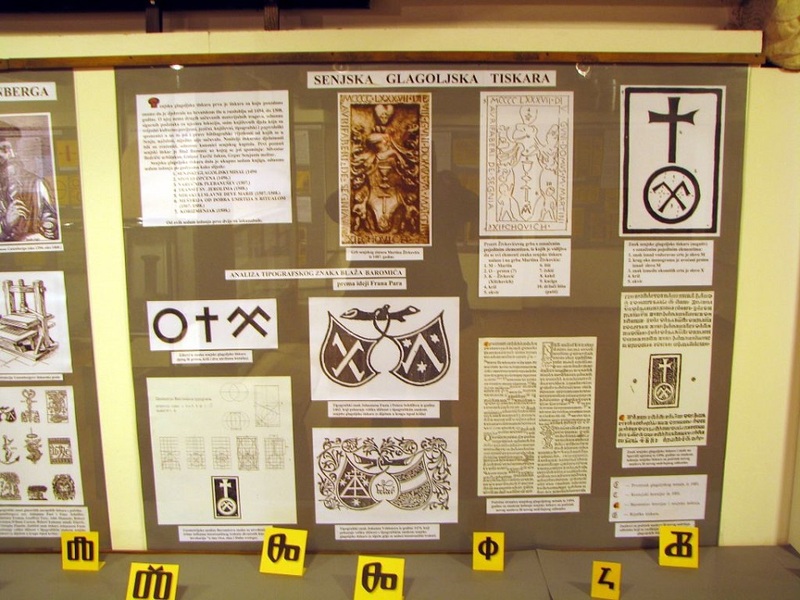 It was written in the Croatian and old Slavic language, usually used in all Croatian, Glagolitic and liturgical books in the fifteenth and the sixteenth centuries. Beside the Misal another six book-lets were printed in glagotic printing house in Senj.